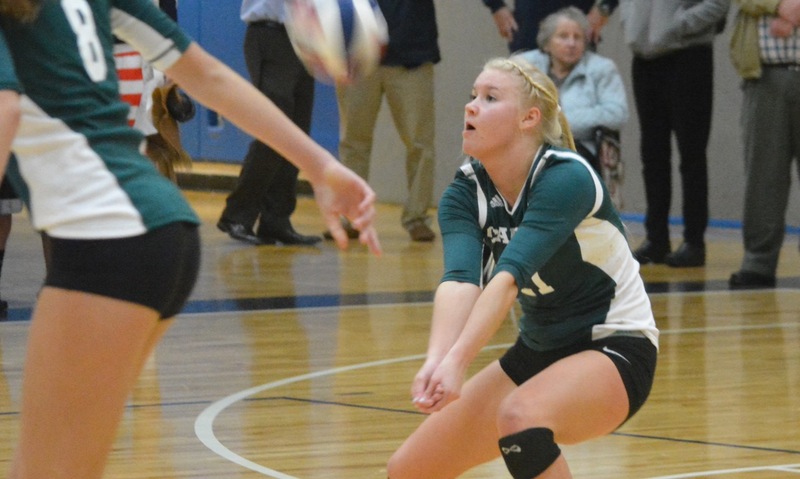 Canton, 1 vs. Duxbury, 3 – Final – Canton rallied to win the second set but fell to the Dragons, 17-25, 25-21, 18-25, 18-25. Elizabeth Hamilton had 17 kills to go along with 19 digs, Sarah Reissfelder and Rye Verille combined for 13 kills and Olivia Devoe had 16 digs for the Bulldogs. Foxboro, 0 @ Oliver Ames, 1 – Final – OA senior Hannah Friend scored with six minutes left in the first half while senior goalie Cassie Gavin came up big in the second half and finished with 12 saves.